Chapter 13 bankruptcy in Arizona is different from chapter 7 bankruptcy in that you pay back at least a portion of your debt over a period of three to five years. You and your Arizona bankruptcy attorney will prepare a repayment plan that must be approved by the Arizona bankruptcy court. In a chapter 13 bankruptcy, you typically get to keep all your property. Chapter 13 bankruptcy eligibility in Arizona depends on several factors including your income, total amount of secured debt and the total amount of unsecured debt. Your Arizona bankruptcy attorney will help you determine if you are eligible for chapter 13 bankruptcy in Arizona. You can also find information about qualifying for chapter 13 bankruptcy in Arizona on our website. A Chapter 13 bankruptcy in Arizona starts by meeting with your Arizona chapter 13 bankruptcy attorney. Your Arizona bankruptcy attorney will prepare all your schedules and attachments along with the petition for chapter 13 bankruptcy. All of your chapter 13 bankruptcy forms must be filed either with the petition or within 14 days of the petition having been filed if the bankruptcy court clerk gives you a deficiency notice at the time of filing. Along with the petition, you must pay the then current filing fee to the bankruptcy court clerk. Most chapter 13 bankruptcies in Arizona are filed electronically by your Arizona bankruptcy attorney. When you file a chapter 13 bankruptcy in Arizona, the Arizona bankruptcy court will assign a chapter 13 bankruptcy trustee to oversee and administer your bankruptcy case in Arizona. The chapter 13 trustee will review your bankruptcy petition and your proposed repayment plan. The trustee will make sure that the plan and your bankruptcy forms all comply with the bankruptcy law. The chapter 13 trustee in Arizona will also be the disbursing agent for your payment plan. The trustee will collect your payments and disburse the funds to your creditors according to your repayment plan. The trustee will also monitor your activities to ensure that you have done things like filing your taxes. You can find more information about the chapter 13 bankruptcy in Arizona on our website. The automatic stay is an order issued by the court when your chapter 13 bankruptcy petition has been filed. It will stop most collection actions and slow down the foreclosure process in many cases. In most cases, it will stop things like lawsuits, garnishments and harassing phone calls at least temporarily. You can find more information about the automatic stay on our website. Your Chapter 13 bankruptcy repayment plan in Arizona will provide for you to make regular payments to the chapter 13 bankruptcy trustee in Arizona. Usually, the chapter 13 plan payments are monthly but they can be made more frequently. The trustee will retain a portion of the plan payment to cover the administrative cost and the rest will be distributed to your creditors. All of your disposable income, what is left over after you have provided for your living expenses, will be dedicated to your chapter 13 bankruptcy repayment plan. You can find more information about chapter 13 bankruptcy repayment plans in Arizona on our website. In most cases, you will not lose any property in chapter 13 bankruptcy in Arizona. However, you will need to keep up on your payments for your home, car and other secured loans or you may lose it. If you are behind on your payments when you file for chapter 13 bankruptcy in Arizona, you can repay the arrears in your chapter 13 bankruptcy repayment plan. You can find more information about keeping your property in chapter 13 on our website. 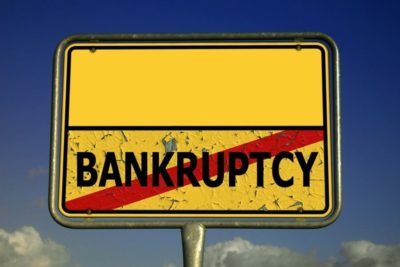 The “discharge” in chapter 13 bankruptcy is the end of your case. You will receive a discharge of all qualifying debts if you have kept your commitments to the plan and otherwise fulfilled your required duties. If you paid less than 100% of your debts through your repayment plan, the remaining balances are forever discharged in most situations. Some debts like alimony and child support are not dischargeable. Your Arizona bankruptcy attorney will fill you in on what debts are dischargeable. If you are considering bankruptcy in Arizona, give Phoenix Fresh Start Bankruptcy Attorneys a call. We will help you determine if bankruptcy is right for you and which chapter of bankruptcy will be best for your financial situation. Call now or submit the form on this page. We will give you a free, no obligation debt evaluation.